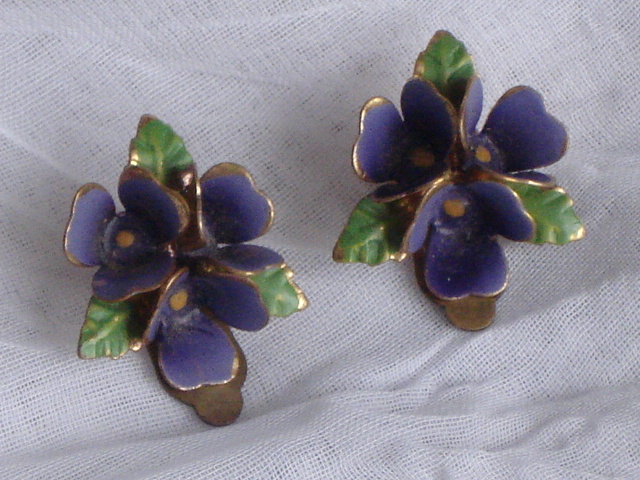 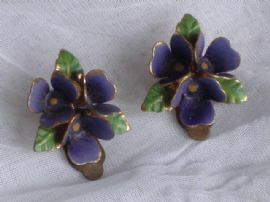 How sweet are these little cold enamel violet earclips from the late 1940's early 1950's? 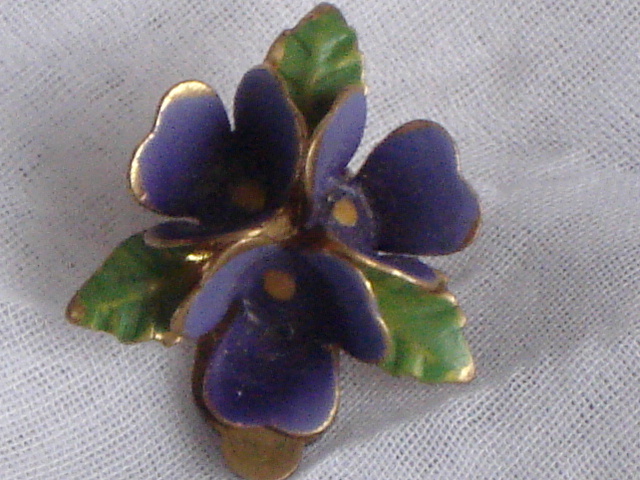 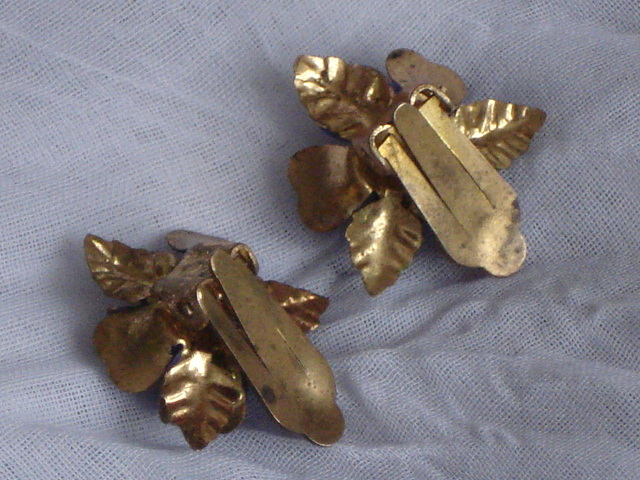 They have three little violet flowers surrounded by leaves and are made of gilded brass. 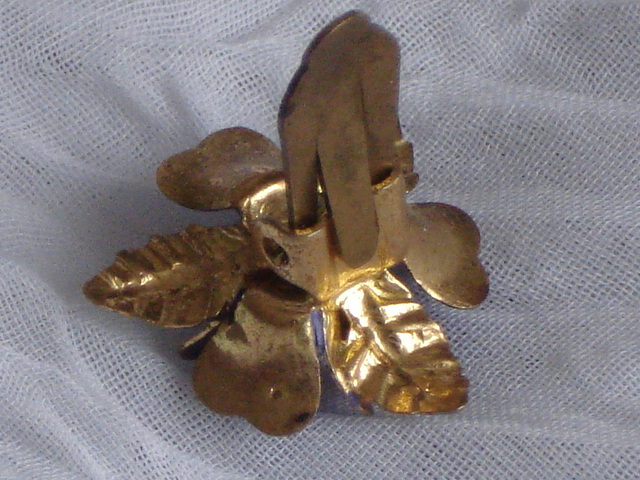 Measuring a little under 2cms( .75 ins) across with a nice secure clip.